I had fed Crazy Corn cooking food to my flock for years. I was so glad to hear of Crazy Good Cooking. 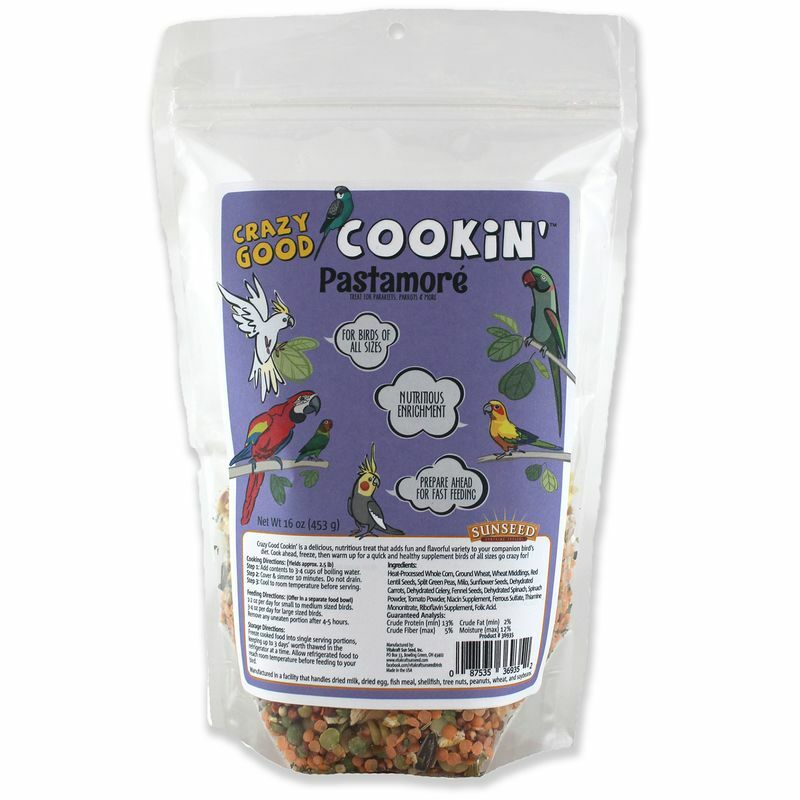 My flock is happy with the Pastamore so far and I’ll be trying the others. My amazon REALLY likes this stuff. To be honest, he seems to like it better than the old Crazy Corn pasta mix. My red-bellied parrot had been on the Crazy Corn product for many years, and then they went out of business. I tried several products before finding this one. My bird wouldn't touch any of the others, but this is the real deal. 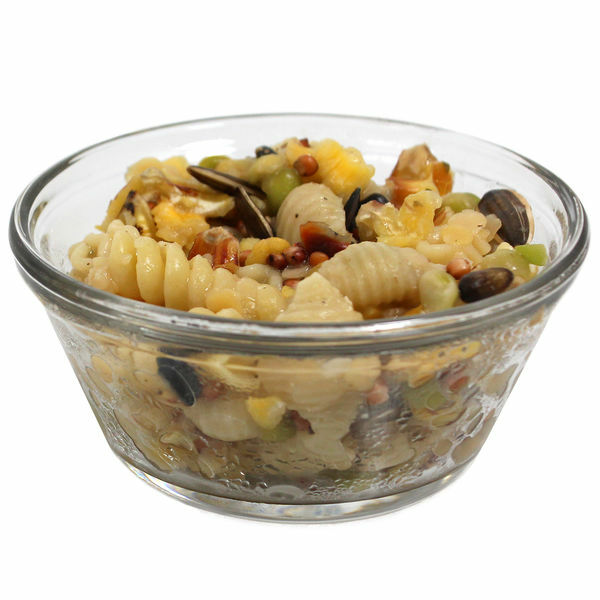 Cook, bag into small amounts, freeze, pull out of the freezer and into the refrigerator. Put a dollop onto a small plate and microwave for 19 seconds on power 3. Perfect. Happy happy bird. Very good product, my BFa loves it! 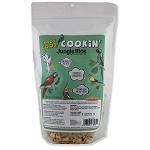 My parrotlet loves this food, relishes it. I make a small portion from the bag - cook it and divide it up and freeze the others for later. Easy to thaw. Then I have the rest of the uncooked food for later. This way I dont have to cook the entire bag for such a small bird. The variety of the ingredients are very nice. 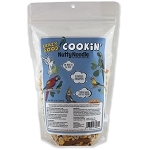 My bird really enjoys it.I am happy to see this available - we used to use the crazy corn so its nice to have this available.